Media Center Extender setup is the process of adding an Extender to the Media Center PC. This process includes tasks performed on both the Extender and the PC. The setup description provided will start at the Extender. There are three ways in obtaining the setup key from the Digital Media Extender. NOTE: If you are using a compatible Windows Vista version, you will be asked to update the system via the Windows Vista Update. Proceed through the steps displayed on the screen. Make sure the Windows Vista PC is online and Internet is working on the network. 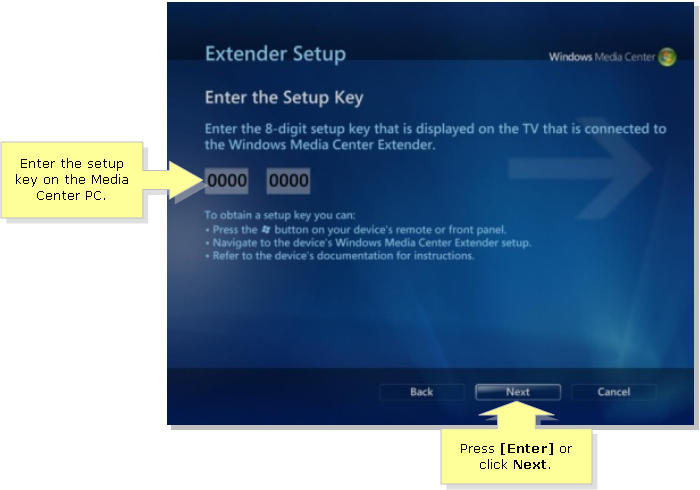 Obtain the setup key from the Digital Media Extender. NOTE: You can use any of the three options indicated above. Please turn off your firewall settings or any other 3rd party firewall protection before proceed to the driver installation. Write down the 8-digit Media Center Setup Key. Insert the CD that came with the Media Center Extender into the Vista PC. 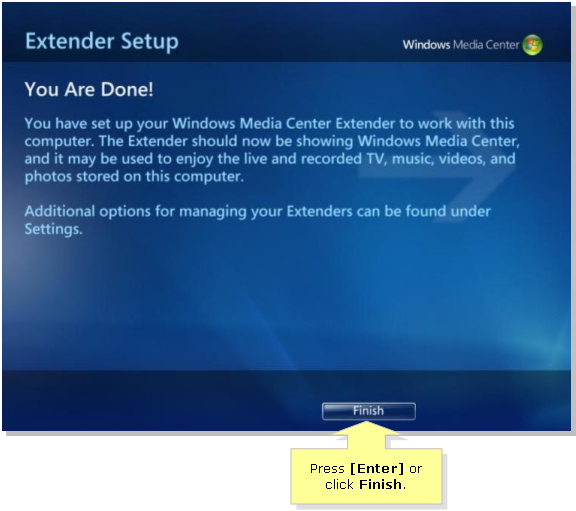 When the Found Windows Media Center Extender message appears, click on the screen or click Yes to start the setup. When the Welcome to Windows Media Center screen appears, press [Enter] or click Next to continue. 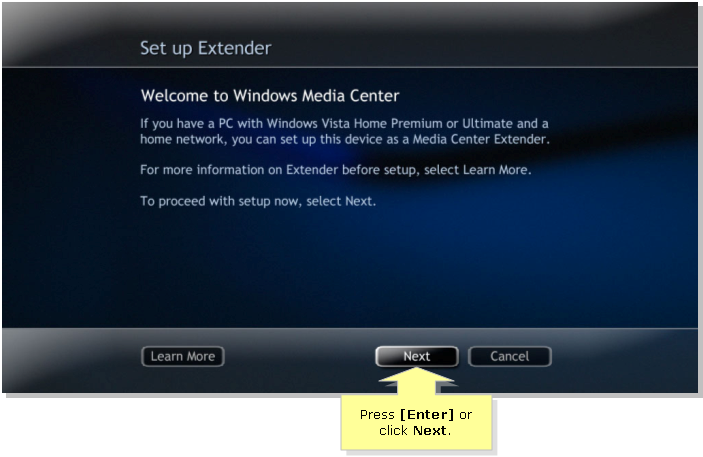 Enter the Extender setup key on the Media Center PC then press [Enter] or click Next. Proceed with the next configuration until you reach the You are Done! message then press [Enter] or click Finish.